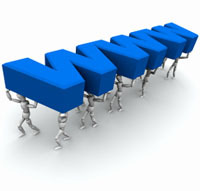 Web development is a broad term for any activities related to developing a web site for the World Wide Web. This can include e-commerce development, web design, web content development, client-side/server-side programming and web server configuration. Web development can range from developing the simplest static single page of plain text to the most complex web-based internet applications. Don't worry about trying to 'understand' web development. Our team will assist you from start to finish. Remember you are only limited by your imagination and budget. Copyright © 2019 Amiam Computer Services Co., Ltd.